Orders via Megatrea, Premium Bandai and kiddyland can be placed between the 23rd September 2016 from 13:00JST to the 7th November 2016 at 23:00JST. 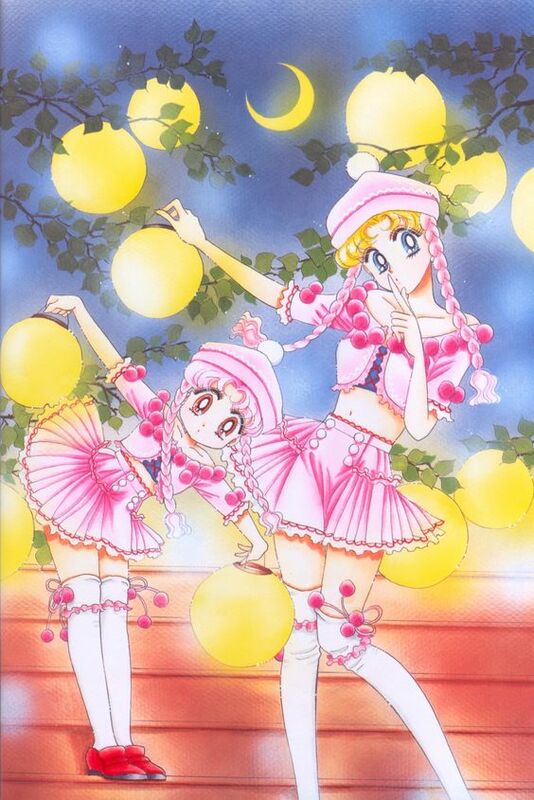 ding1993 (2 anos atrás) #13516377But also agree that we should have a higher standard for Sailor Moon figures. As we have seen, many of them are exclusive and they are getting more expensive, but the quality keeps dropping. Look at the lastest cardcaptor sakura figure! Sailor Moon has tons of possibilities! The amount of great Sailor Moon figures is abysmal. It's one of the most succesful anime franchise in history and it's plagued by cheap stuff and unworthy figures. The most generic LN secondary and forgettable waifus get great PVC from Alter and GSC and many other talented makers, SM gets zero thanks to our dear Bandai. At least, in the GK era, some circles had the guts to make a few outstanding ones ITEM #33883 (for the standards of that era), but very little coming up nowadays. That's my frustration with the franchise reboot: they dared to see how much crap they could feed the fans... and it works wonderfully. Cheap figures made cheaply and subpar with current standard production. To be fully honest, I'm pretty sure Sega would have made nice Prize figures out of Sailor Moon that would have been more affordable and more imaginative than Bandai products. And well, it's why this time I'm paying some attention to a new prototype, just because it seems they are breaking the mold a little bit. Now, imagine if Sailor Moon got the habitual treatment well-established franchises gets: we would have Freeing making 1/4 bunnies (imagine a bunny version of Usagi and Chibiusa!!! better, a bunny Sailor Pluto for the win! ), Alter would have made wonderful 1/7 line ups (civilian and sailor suited, maybe some swimsuit versions), GSC would have make quite nice ones with outlandish clothing out of Takeuchi illustration s-media-cache-a... to compete, Phat would have make a nice bunch of civilian figures à la Idolm@ster) and probably Kotobukiya or GSC would have made gorgeous stuff like Card Captor gets: Chibiusa and Pegasus, Eternal Sailor Moon, maybe Usagi spinning around draped in ribbons as if caught in mid-transformation to stuff half a detolf... you could have got figma, nendo and all the usual SD stuff. Prize figure makers like Sega and Furyu would have made every variation of each sailor uniform available. Alas, NONE of that... a pure desert... just a bunch of cheap toys. FY Bandai! You're the scum of the Earth sitting on a goose that could lay golden eggs and you've got to prove yourself before I buy your crap and watch your botched animation with cheap soundtrack. And no, I'm not angry, just shaking my head at the WASTED POTENTIAL laying there... and shaking my head at peoples not accepting the fact they are in their right to get more in 2016 from figure makers and their favorite anime. Is there anywhere to get her for a decent price? No news of any other senshi...Is this now another weird abandoned line by Bandai? Wondering if anyone is willing to use her base as an actual dessert plate or to drink out of it XD ?! ruispatonki (1 ano atrás) #21555821I wonder if there will be more of these. I'm really hoping for a Chibiusa one! Same here ♥ that would be awesome! I wonder if there will be more of these. I'm really hoping for a Chibiusa one!